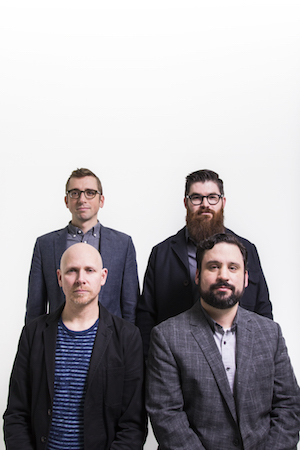 This quartet of master percussionists will challenge expectations. 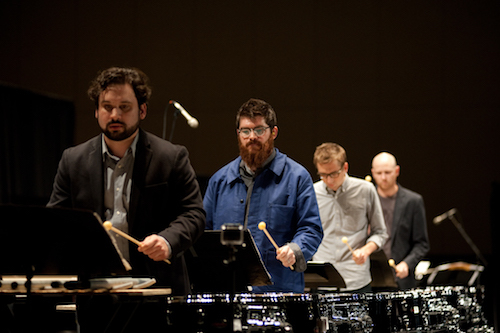 Their performance will include Bryce Dessner's Music for Wood and Strings and Pulitzer Prize winner Caroline Shaw's Taxidermy, both Sō Percussion commissions. These four performers are ground-breaking musicians who challenge themselves and their commissioned composers to reach new heights of inventiveness. Don't miss this season-opening concert in our improvised Club Sudakoff! Tickets are FREE for New College students, faculty, and staff—just bring your NCF ID to the concerts. For everyone else, single event tickets are $15, and season tickets to all five concerts are a bargain at $60. Click here to purchase tickets on line. Admission to all of our Artist Conversations is free for everyone. Concert admission is also free for students, faculty, and staff of SCF, USF Sarasota-Manatee, Ringling College of Art & Design, Eckerd College, FSU/Asolo Conservatory, and Booker/VPA High School—please bring your school ID. Visit our Reservations page for details.